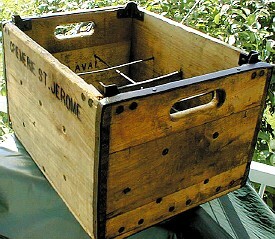 " Joseph Forget Prop. " 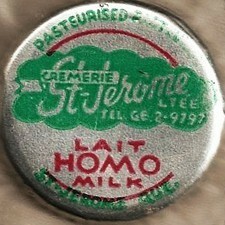 " J. 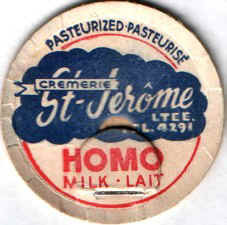 Forget Prop. " 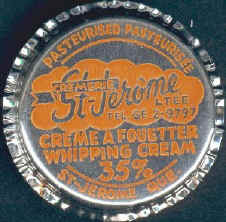 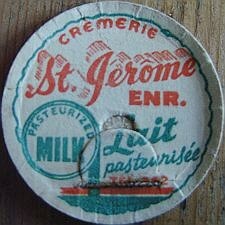 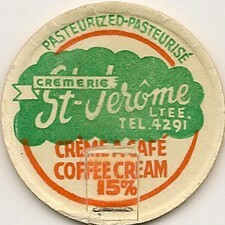 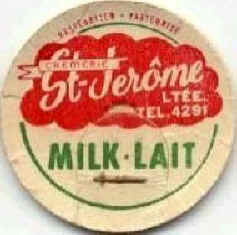 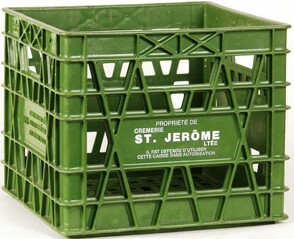 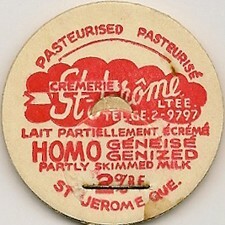 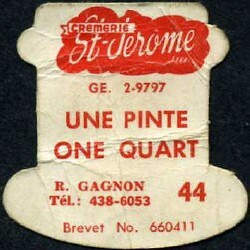 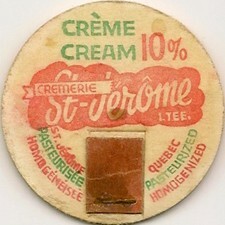 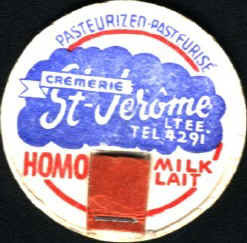 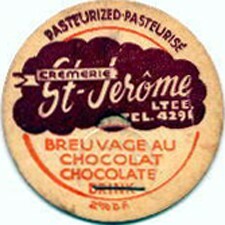 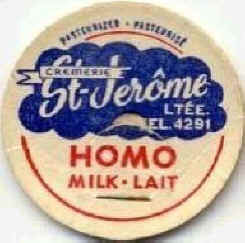 The St-Jérôme Creamery was founded in 1927 by Joseph Forget. 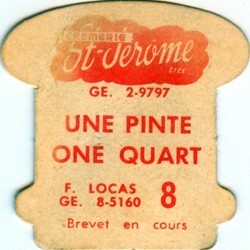 Maybe the first name Mr. 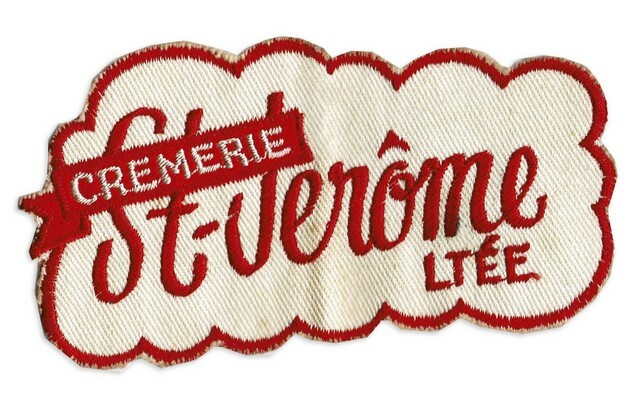 Forget used was "Laiterie Laurentienne"? 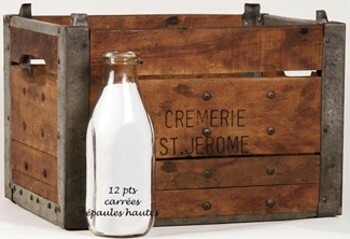 At the time, milk was carried door to door in a can aboard a horse-drawn wagon. 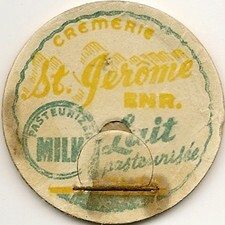 Milk was taken directly from the can to fill customer's bottles. 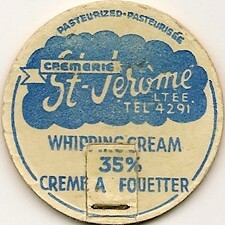 The daily production was of an average of 25 quarts per day. 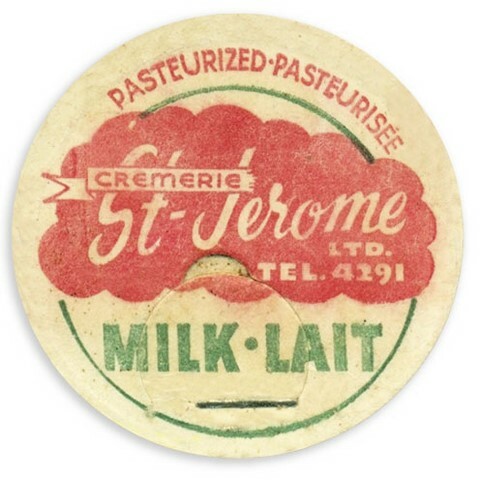 To answer to customer demand, in 1933 a new pasteurization plant was built. 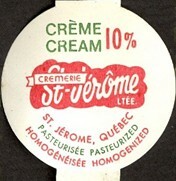 As the business was doing well, another expansion took place in 1939, which is the actual site of the "Casavant Dairy". 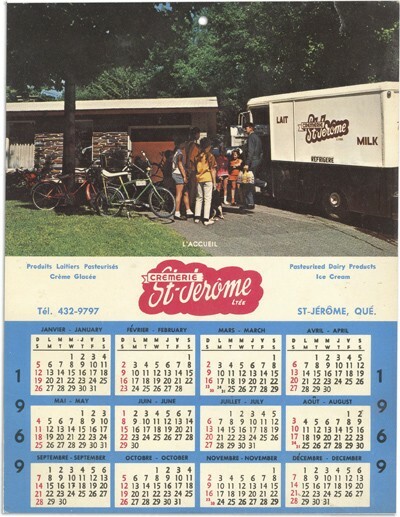 Here we can talk about "Casavant Dairy" because Mr. Fernand Casavant became owner of the St-Jérôme Dairy on April 1st, 1946. 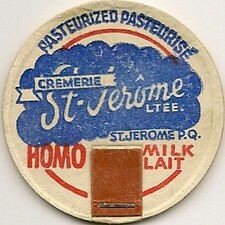 To be noted that at that time, "St-Jérôme Creamery" started to have contracts to bottle milk for other dairies like "Lemay Dairy" of Brownsburg. 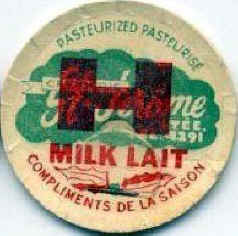 Historical continued under "Casavant Dairy"